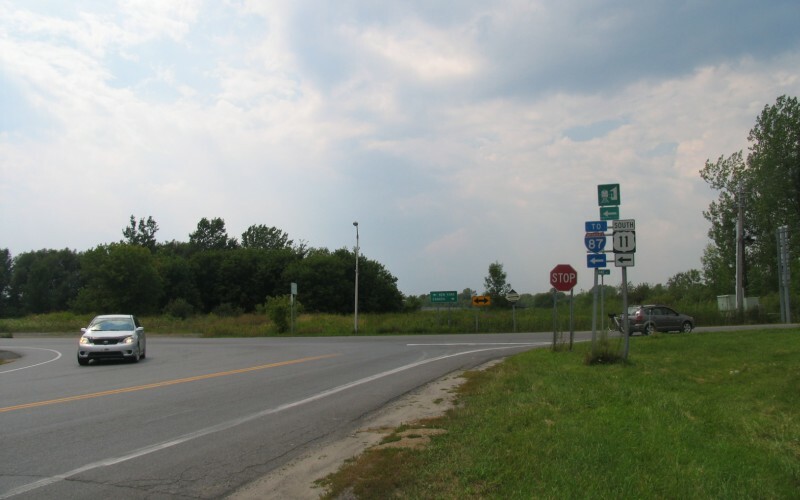 The eastern segment of US 2 ends at this intersection, in Rouses Point, NY. The Canadian border is in the far background. 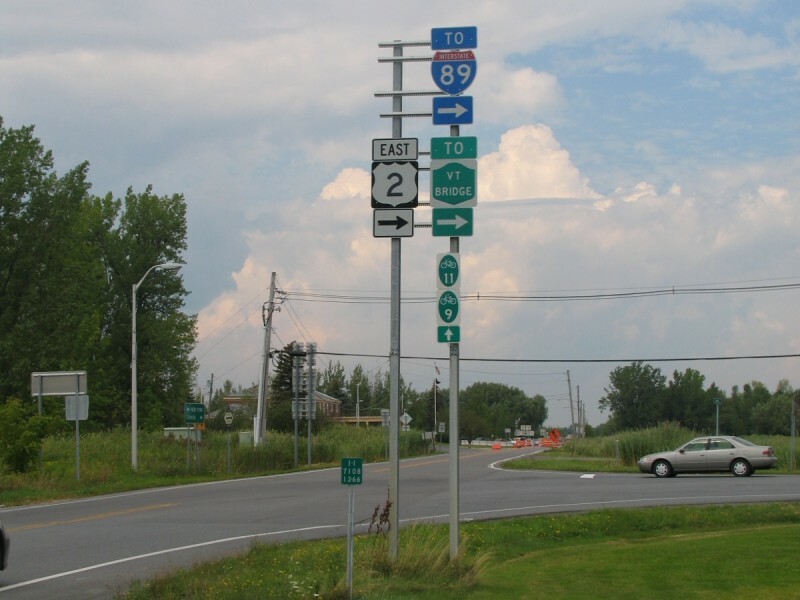 At one point, the "TO I-89" shield was centered on the top row and there was a US 11 trailblazer underneath the US 2 trailblazer. Photo by Adam Prince, taken in August, 2006. END US 2 signage, with the intersection in the background. Photo by Adam Prince, taken in August, 2006. The intersection itself, as seen from US 2. Photo by Adam Prince, taken in August, 2006. 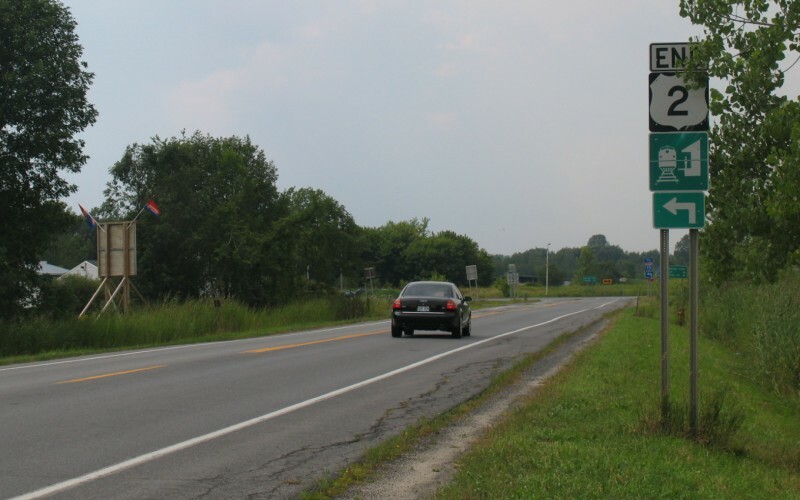 First eastbound reassurance shield, while standing in the southeast corner of the US 2/US 11 intersection. Photo by Adam Prince, taken in August, 2006. 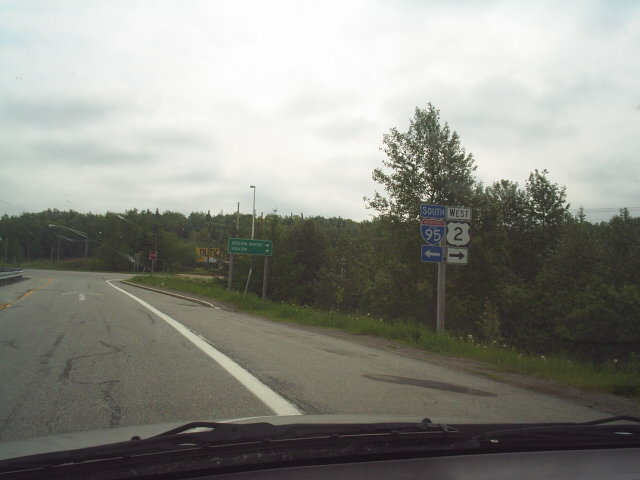 This eastern US 2 has its eastern terminus at I-95, just shy of the Canadian border. 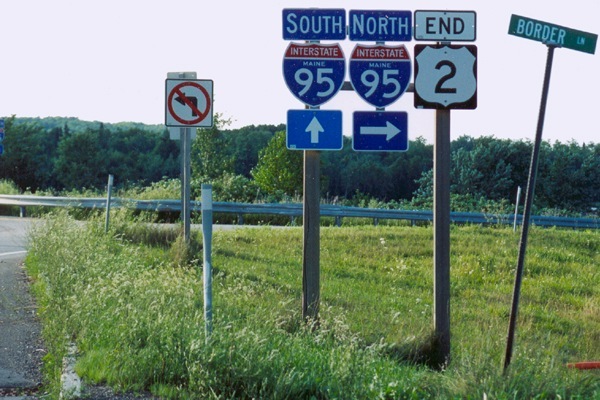 At one point, it did continue on to Canada, but construction of I-95 nixed that connection. This photo is at the end of the northbound off-ramp from I-95. Photo by Doug Kerr, taken June 11, 2005. 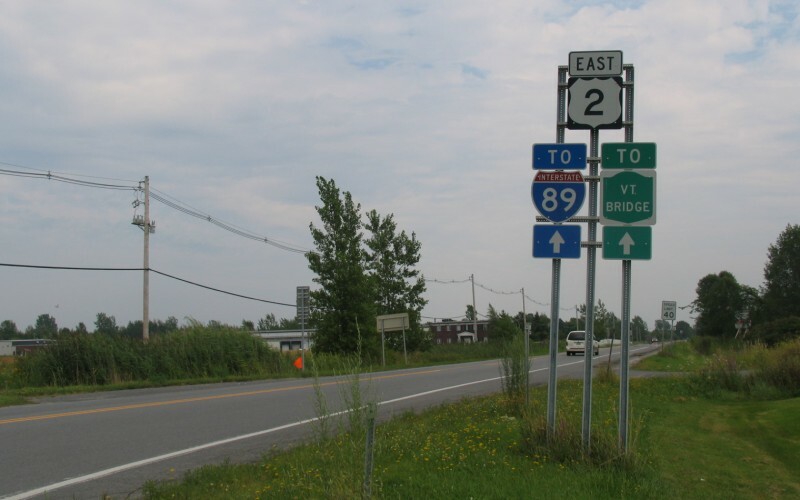 END signage posted along US 2 itself at the northbound ramp terminal. Photo by Oscar Voss, taken in August, 2003.